A practical 64-page A5 manual focusing on good agricultural practices for sorghum and millet production incorporating integrated soil fertility management techniques and practices. Produced by ASHC. A practical 92-page A5 manual focusing on good agricultural practices for sorghum and millet production incorporating integrated soil fertility management techniques and practices. Produced by ASHC. 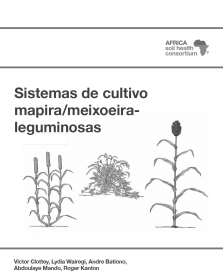 The Sorghum-legume and millet-legume systems cropping guide is a practical 64-page manual focusing on good agricultural practices for sorghum and millet production incorporating integrated soil fertility management techniques and practices. This is the black and white, easy to print version produced by ASHC. A full colour A5 version is also available - the text is the same but the format is smaller and it has full colour images.